Having exhausted my itinerary for the local culture, I took a tedious, but rewarding day-trip to Werfen. It is about a 45-60 min train ride away in the heart of Salzach Valley. 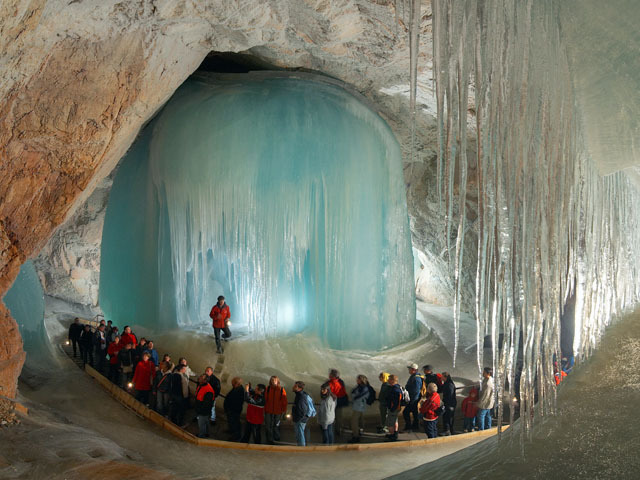 From here, it was an additional 20-min shuttle ride to reach the entry point for the length path up to the Eisriesenwelt, the largest Ice Cave System in the world. 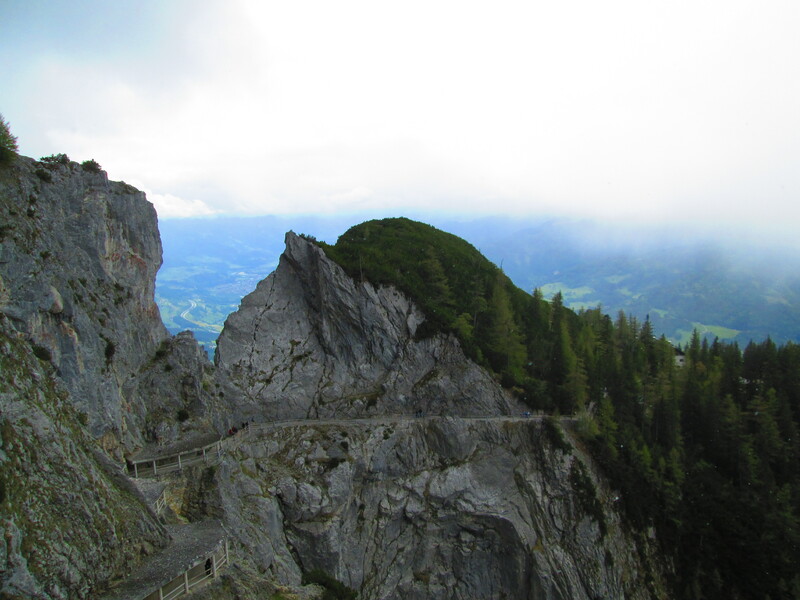 This gorgeous natural wonder is only accessible from May to October, and the journey to the peaks of the Tennengebirge Mountains is not for the faint of heart. Even after arriving at the ticket office, to reach the cave entrance entails approximately 1-hour of inclined hiking, paired with 2 heart-rending funicular rides at a speed that makes your heart plummet to the shear drop you see below you. 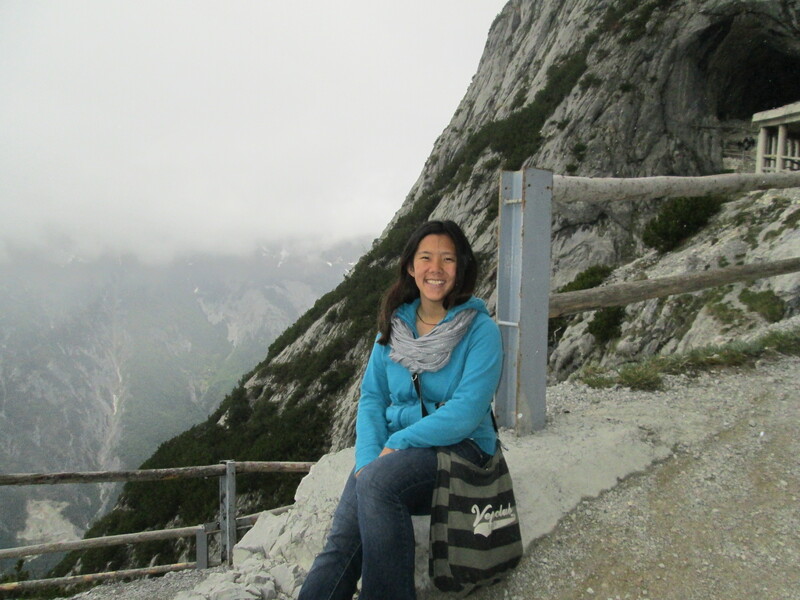 On the way up, snow began to fall, and I was in awe at being able to experience part of the Austrian Alps and savor the snow in the middle of May. The cave was discovered by Anton Posselt in 1879, he was merely able to explore into the first 200-meters. Prior to that, despite acknowledging the cave’s existence, the locals avoided it believing it to be an entrance to hell. Years later,Alexander von Mörk, recalled Posselt’s discover, and led expeditions into the caves beginning in 1912. Killed in 1914 during WWI, his remains are immortalized by an urn containing ashes in a niche deep within the ice’s recesses. It is difficult to quantify how humble the sprawling caverns and massive ice formations made me feel. 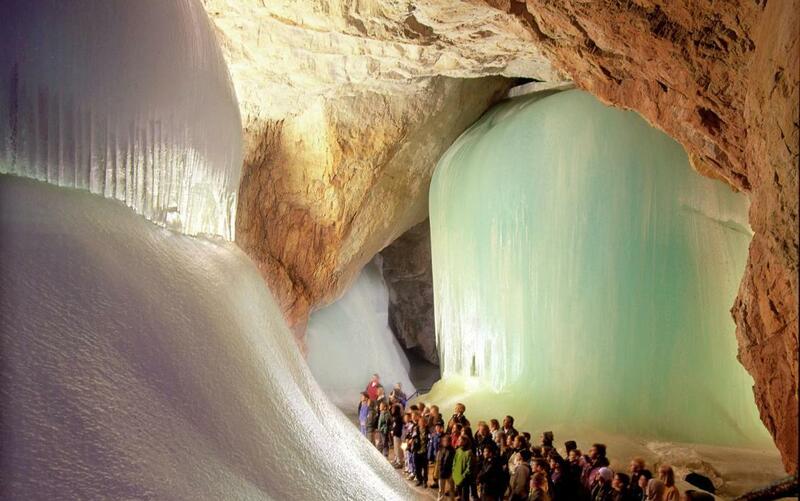 As the thawing snow seeps through the cave’s limestone, chilly winter winds blow into the cave, freezing the dripping water. Thus, the first kilometer of the cave entrance provides a radius within which unique, but characteristically similar sculptures are formed every season. The names that each have earned requires a sprinkling of imagination. Examples include Hymir’s Castle, Frigga’s Veil, and the Ice Organ. Closer to the train station, sits the HohenWerfen Castle, a former fortification built between 1075 and 1078. 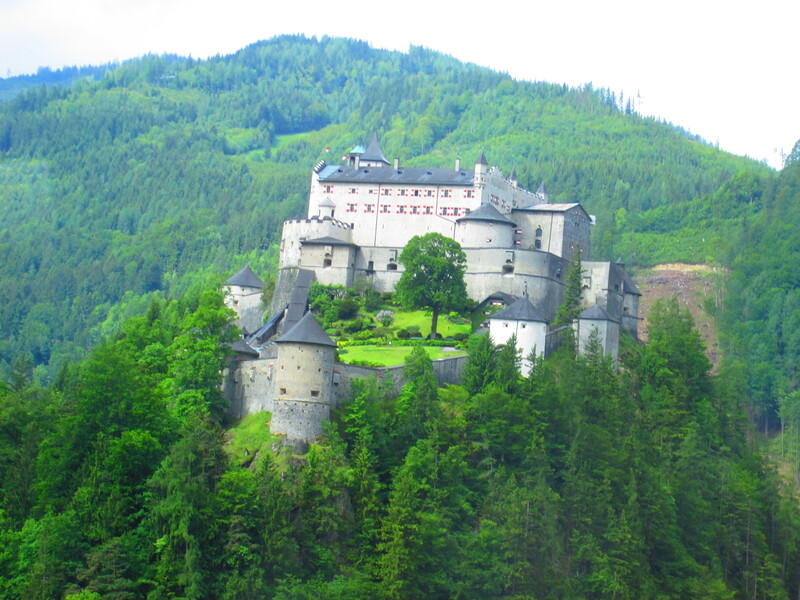 It was one of three major castles constructed to secure the Salzburg Archbishopric against the forces of King Henry IV. Unfortunately, this proved to be for naught, as Gebhard was expelled in 1077, and did not return to Salzburg until 1086, where he died at Hohenwerfen two years later. In the following centuries, the property was used by Salzburg Rulers, not only as a military base, but also as a place of residence or a hunting retreat. It has withstood the German Peasant’s War, and been used as a state prison with a dark history; Wolf Dietrich Raitenau died here in 1617 after six-year of imprisonment. 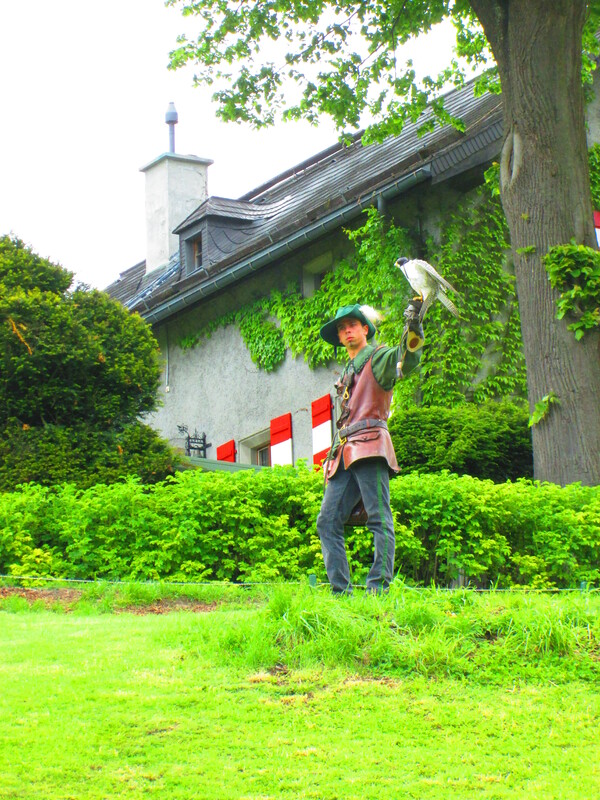 I enjoyed witnessing the expertise of the historic Salzburg Falconry, which helps demonstrate the heritage of using Birds of Prey as hunting companions. What are your thoughts on hunting? Do you consider it a fashionable hobby that requires skill? Or do you consider it murder, of animals that are at the mercy of carnivorous and belligerent mankind?